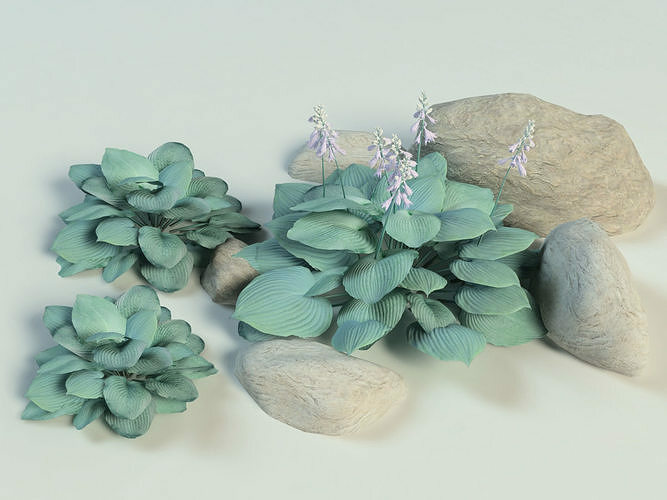 Qualitymodel of 3 different hostas plants with stones. One is flowering. The model is created with a minimum number of polygons and does not overload the scene. Suitable for landscape design and composition. All textures are in archive.